The Historic Sports Car Club has unveiled the 2018 Pre ’80 Endurance Series, which will feature an invitation class for mighty Can-Am cars for the first time. A quality schedule of races at three high-profile UK historic racing festivals along with a visit to Spa-Francorchamps makes up the 2018 calendar for the series that attracts some glorious sports-racing, GT and touring cars from international racing through the 1970s. This will be the fourth season of the HSCC-organised series, which is run with the help of Flavien and Vanessa Marcais. Echoes of the World Endurance Championship, FIA GT Championship and FIA 2 Litre Sports Car Championship come from wonderfully varied grids and now the races will include the added spectacle of Can-Am sports-racing cars from the heydays of the category in the 1970s. In period cars from McLaren, Lola, March and BRM ran with engines of up to 8-litres and the HSCC is keen to encourage these cars back into action. New for 2018 is a revised race format of two 30-minute sprints per weekend and the Pre ’80 Endurance Series will visit Oulton Park for the first time to be one of the headline races at the Oulton Park Gold Cup (25-27 August). The series will also feature at the Silverstone GP circuit International Trophy (16/17 June) and the Legends of Brands Hatch GP circuit meeting on 30 June/1 July). The season concludes with the chance to race at Spa-Francorchamps (14-16 September). 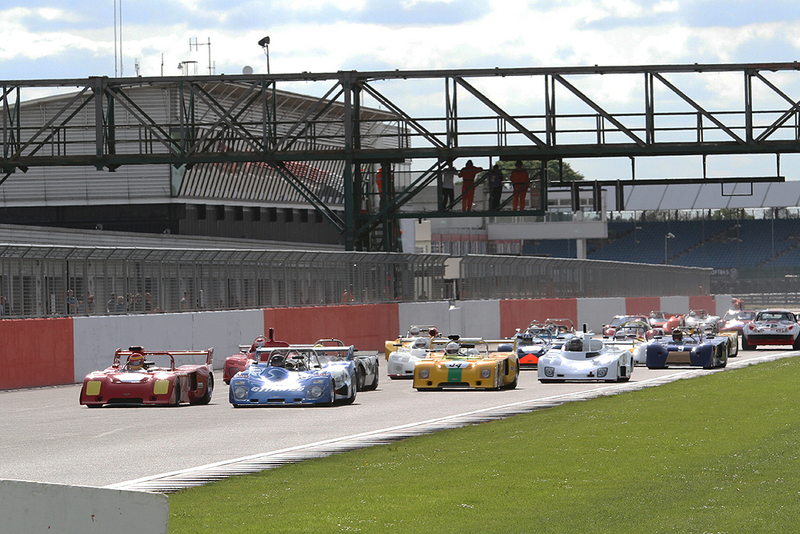 The inclusion of two races at Oulton Park will add further to the event’s celebration of 50 years of the Chevron B8. While the B6s and B8s will have a dedicated race, other sports-racing cars from the Chevron range will be able to compete in the Pre ’80 race. Timeless classic Chevrons like the B16, B19 and B26 are all likely to feature in the Pre ’80 races.